Giving back and maintaining strong ties to the businesses and individuals they serve is a priority of the team at ROI Search Partners. And, as part of this commitment to community, Marcy Whelan offers her time to several special organizations which allow her to stay connected, including Lewis and Clark Society for Human Resource Management (LCSHRM). As the Membership Chair of LCSHRM, Marcy is responsible for the membership drive and is the main point of contact for membership questions. Additionally, she spearheads the annual membership networking event and is involved with the group’s peer mentoring program, presenting as part of a panel to Lindenwood students. Enjoying continued support of excellence in Human Resources, Marcy values the monthly educational/informational meetings and appreciates the opportunity to learn, share and cultivate relationships in the Human Resources professional community. Marcy has been involved with Lewis and Clark SHRM since February of 2015 and has been a Board Member since 2018. 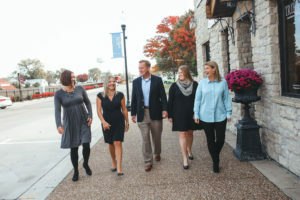 If you’d like to become involved with the Lewis and Clark SHRM, or if you would like to learn more about how Marcy gives back in the community, please click here to connect with us.